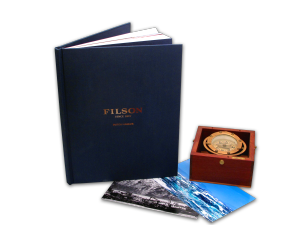 To create content supporting the launch of a new Filson Dive Watch, we pulled together a production team with photographers Scott Serfas / Travis Gillett to hit the icy waters of Dutch Harbor Alaska documenting the environment from which this watch received its name. After a week traveling aboard the Arctic Lady and another week working with residents of Dutch Harbor, we had logged enough assets to create a marketing campaign, product launch, video collateral, and hardback book all telling the tales of those who work in the frigid waters of the Aleutians. 25 Copies / SOLD OUT. Hours at Dutch Harbor Airport.